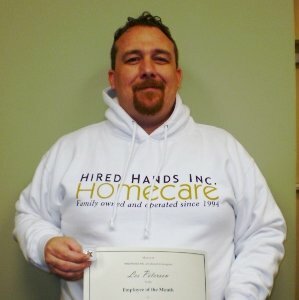 Sonoma, CA Home Care Provider of the Month! Our latest ROCKSTAR is Les Peterson! Les has worked for Hired Hands since April of 2013, and has been known to go above and beyond in his commitment to the clients he serves. Les always has a smile on his face and has a knack for bringing folks out of their shells! Les, we very much thank you for the great positive effect you have with our clients and their families!